Striped and ready to rock and roll! 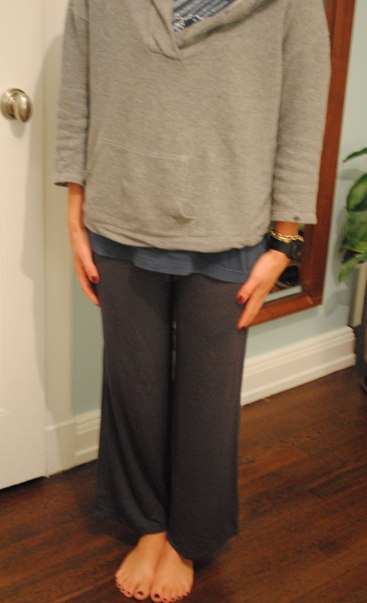 The pants look great with any top -- not just the striped shirt. And you will not be embarrassed if someone shows up unannounced. 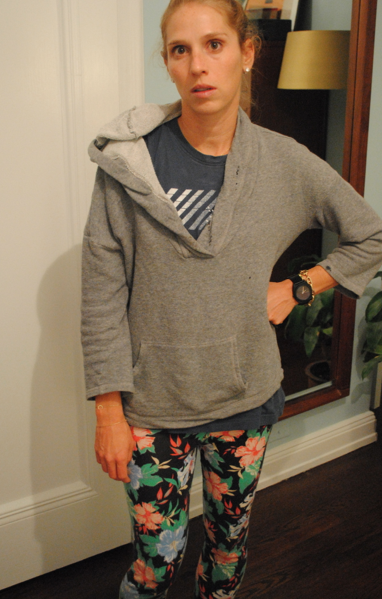 (I would want to die if someone came over and I was wearing my ever-so-hot-and-flattering floral leggings). Of course, it looks great together too. Ready for TV! and bed! 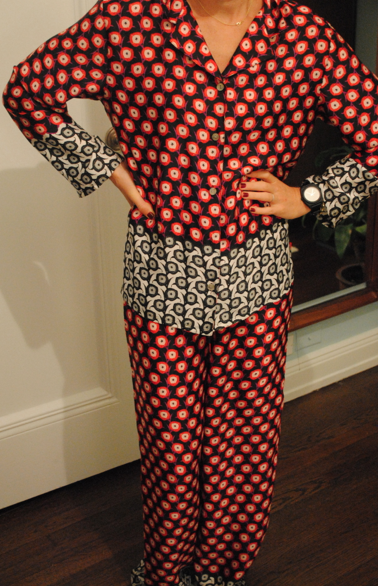 I am also in love with the Josie Princess Cocachin PJ. Fit for any princess (jewish, royal, or wanna be). It is a feminine twist on a menswear inspired print. The sleek lightweight satin has a real silky and luxurious feel to it. For $110, it is a great gift. The bottoms look great with any top. Even my frumpy grey sweatshirt. Obviously, I like to add color, texture, and style to every look! Of course, it looks nice and sophisticated as a set too! Looks better on the model, though. Both of these ensembles are perfect for cold, fall nights! Get ready for winter and splurge on some comfy clothes! It is fun and wintery. Wow! This is such a fun PJ! !I like the way you mixed the pants with your sweatshirt! Just ordered!! Can’t wait to get them! HOORAY! You will love them! Promise. Um…LOVE your floral leggings btw…need some STAT and I laughed when I read your last note about the PJ set because I was literally thinking…Wow she looks better than both models in both sets…hot mama! HA! So funny, Jules!!!! Aren’t the floral leggings fun? That said, NOT FLATTERING. I got them at topshop a long time ago…. I really like the pyjamas and you look great in them–you are an excellent model. I also like the floral leggins. The Josie combos are very nice, and I will certainly go find them in the stores. OH thanks, Mama. You are the best mother and commenter in the whole wide world! LOVE those pjs!! but you know you can also add me to the list of fans of the floral leggings. 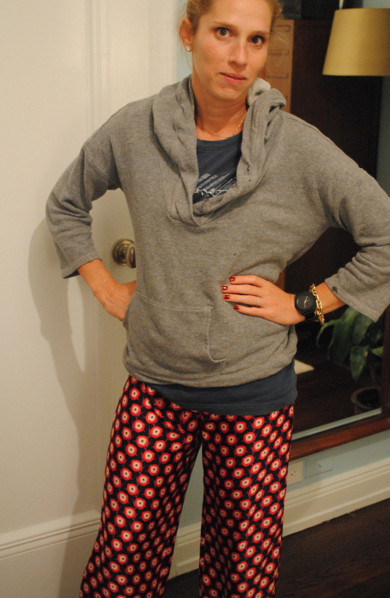 nobody looks cuter in unflattering lounge wear than you do! hee hee. You look pretty cute too in unflattering lounge wear. Should we form a team? um yes! our team would have the best, comfiest uniforms!